The Portland Trailblazers & the San Antonio Spurs are the two teams are very similar. The Blazers in my opinion are a younger version of the Spurs. 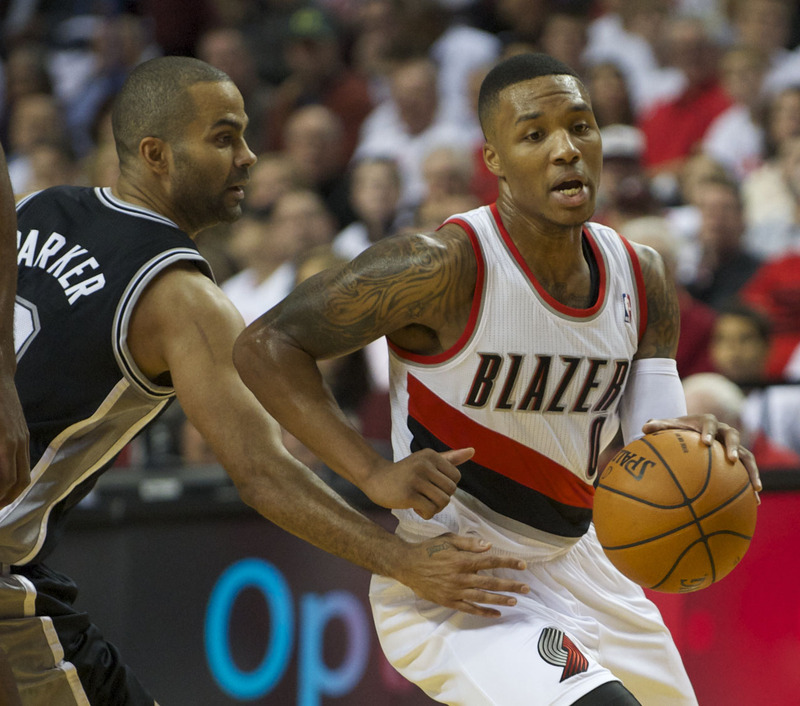 Damian Lillard can be considered a young Tony Parker with his quickness and his ability to get to the basket. The Blazers reached the semifinals on the heels of Damian Lillard’s series clinching 3 in game 6 to send the Houston Rockets home. The same PG comparison can also can be said with the PF in this series. LaMarcus Aldridge ability to rebound coupled with his nice 15 foot shot definitely reminds you of Tim Duncan. The Blazers bread and butter is their Pick & Roll…Lillard and Aldridge works this to perfection. This Blazers team is well ahead their time and most definitely will be threat to the Spurs. The Spurs are the wounded dog you see in your neighborhood..you often wonder after these years that there still around…and when you think their defeated they rise to the occasion. Their 1st round series vs the Dallas Mavericks played out in that particular fashion. At times it looked like the Spurs were going to lay down, but like a wounded dog they persevered and destroyed the Mavs in game 7. The Spurs play the game the way it should be…their the true definition of a team…they play as one…no particular guy grabs the attention…and every man plays his role to the “T” . Experience is the best teacher and the Spurs are the professors of experience, but father time is looming….. The Blazers Win if: they can execute the pick and roll to perfection & Lillard and Aldridge get the best of their older counterpart match-ups. The Spurs Win if: Tony Parker plays out of his mind and the Spurs ability to capitalize on the Blazers mistakes.